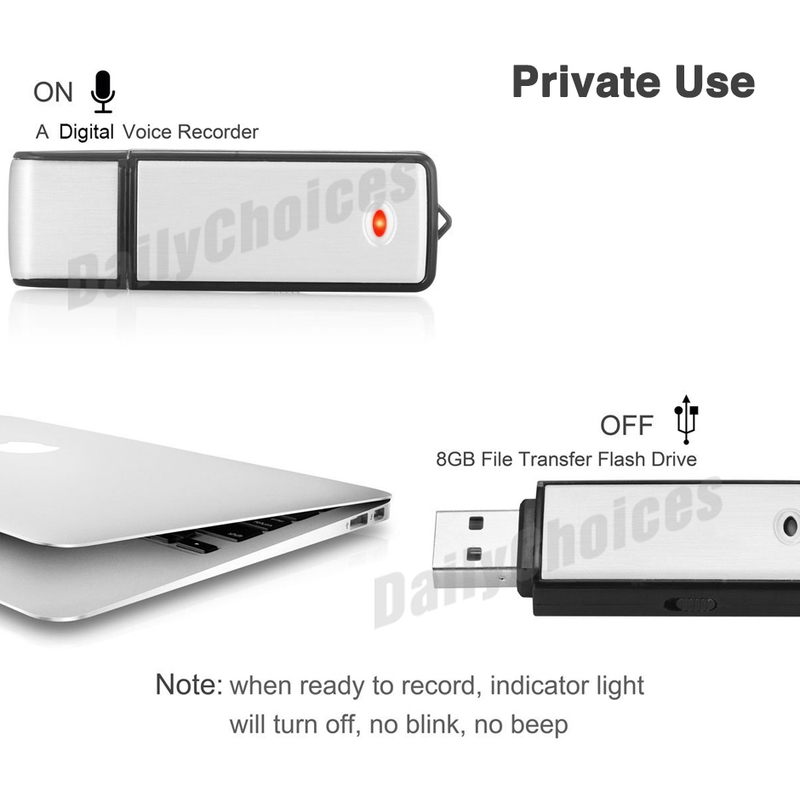 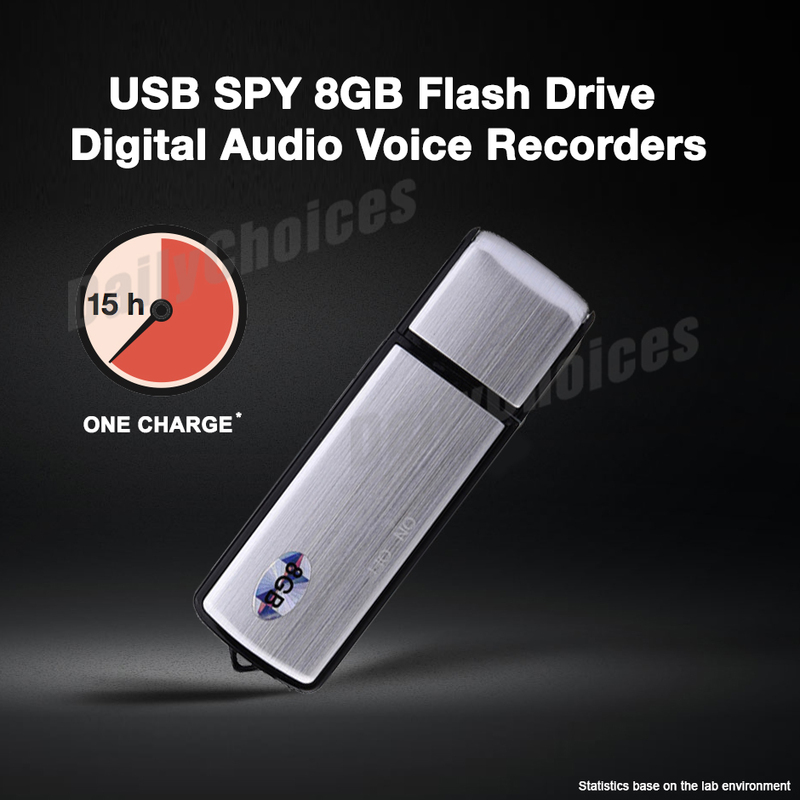 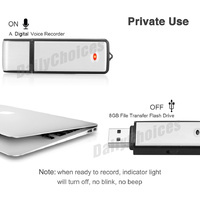 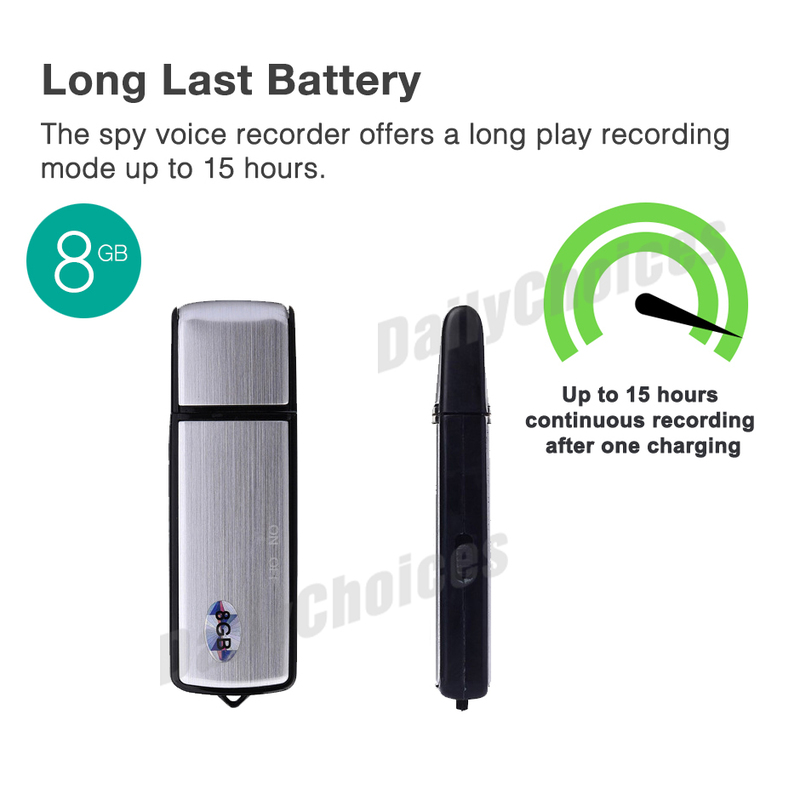 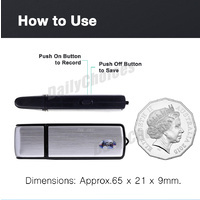 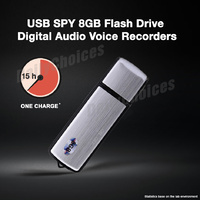 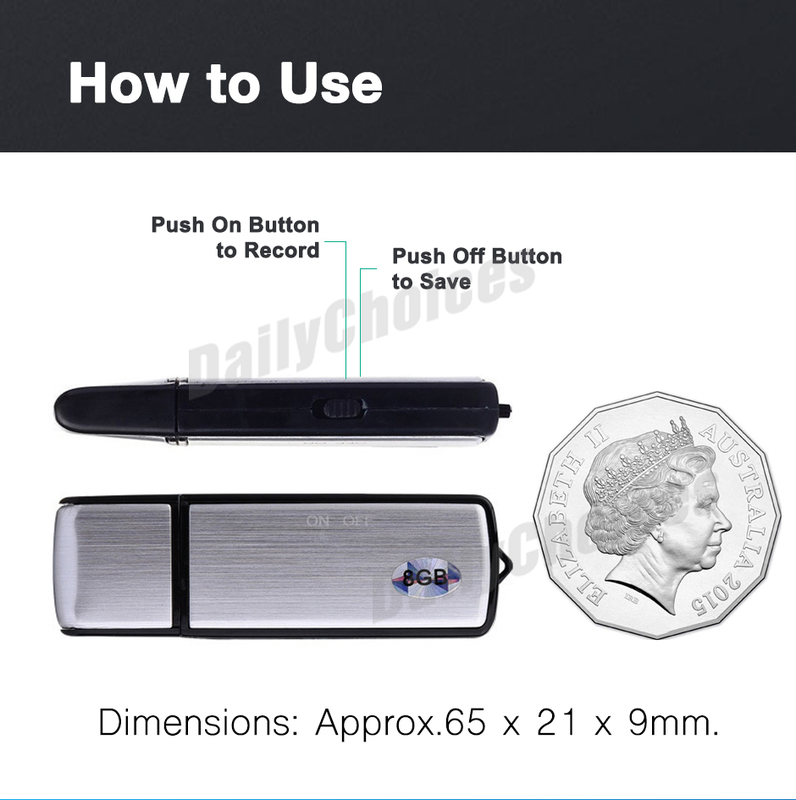 2 in 1 - dictaphone and USB pen drive. 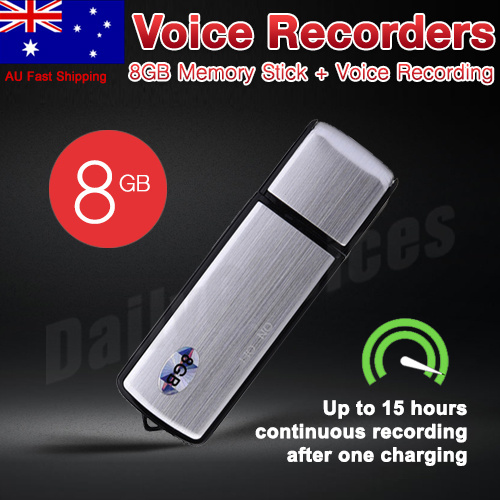 8GB memory size for long recording. 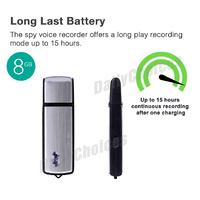 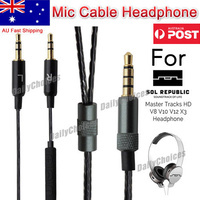 Continuous recording time: 18 hours recording. 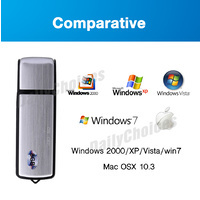 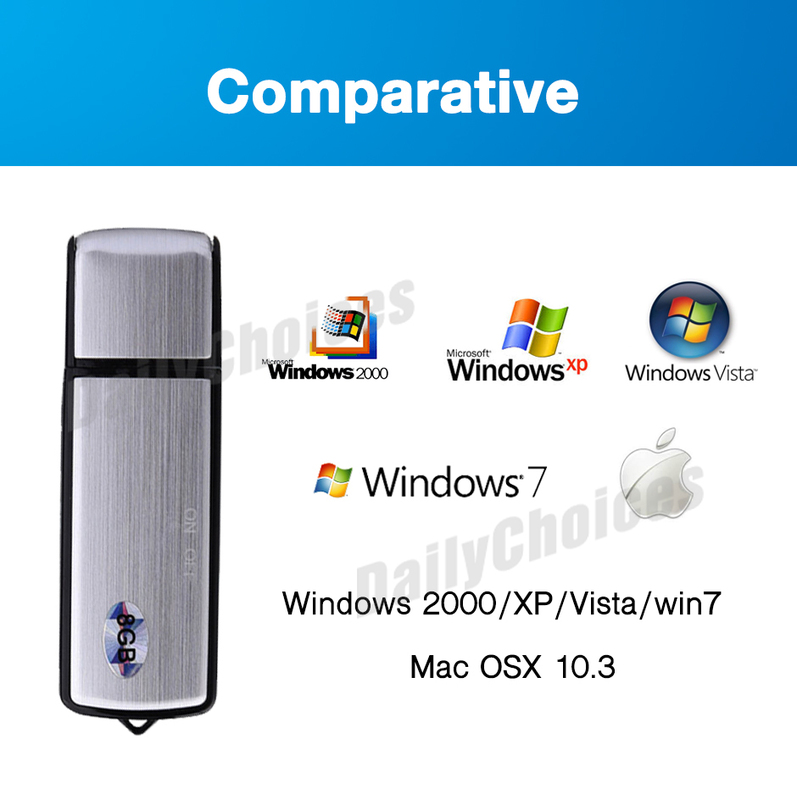 Support Systems: Windows 2000/XP/Vista/7 and above.